Monica Coburn is Senior Vice President, Commercial Banking Manager at Mutual of Omaha Bank. In her position in the bank's Commercial Banking Group, Monica works with businesses and non-profits throughout southern Nevada with annual revenues between $5 million and $50 million, and being a strategic advisor to assist with their business and organization’s needs. Monica has received a number of awards throughout her career, including two awards from the U.S. Small Business Administration and is a recipient of the Woman of Distinction Award by the National Association of Women Business Owners Southern Nevada (NAWBO). Monica has participated as a speaker/panelist speaking on access to capital and business financing, and was also selected as a mentor for the White House Economic Forum that was held in Las Vegas, NV. Monica’s passion is helping businesses succeed and helping the youth in our community who need it most. Her community involvement includes her volunteer efforts with a number of charitable organizations including Salvation Army, Goodie Two Shoes, New Vista, Project 150, and Three Square. She also serves on the Board of Directors for several organizations, including Nevada Business Opportunity Fund, B.E.A.S.H.E.R.O. Foundation, Global Charity Foundation and is a member of the Business Development Advisory Council for Clark County. Previously, she served on the board for Dress for Success Southern Nevada and was their founding chair for their annual Champagne Luncheon & Fashion Show. Jana Forsythe is President and CEO of F.E.I. Construction, a General Engineering and General Building contractor specializing in commercial tenant improvements. Before opening F.E.I. Construction and performing the duties that go hand in hand with having her own business, she worked as a construction estimator, project manager, and team manager for $300+ million annual revenue companies. She has a MBA from the University of Nevada Las Vegas-Lee Business School, and she received her bachelor’s degree in Management of Technical Operations with an Aviation background from Embry-Riddle Aeronautical University. Jana was the 2014 Women of Distinction Award recipient for Real Estate/Construction. Since 2014 she has served on the UNLV Alumni Board and was the 2016 EMBA Alumni Board President. She is an active UNLV and Embry-Riddle Aeronautical Alum. Her hobbies consist of chocolate, wine, hiking, tennis, collecting daily farm fresh eggs, visits to animal shelters, soaks in hot springs, road trips of the contiguous United States, and pistol shoots with Women of High Caliber. President | Trust Administration Manager | Integrity Partners Inc.
Lanetta Lillis is Owner and President of Integrity Partners, Inc. Lanetta’s area of expertise is operations management and strategic planning with experience from numerous industries from general contracting to building automation to technical training. She is responsible for coordinating and structuring cohesive support of the company clients including: trust administration consulting for non-attorney trust administrators; and growth plan implementation of a standalone division, Integrity Team Wire, a wire/cable electrical wholesale company. 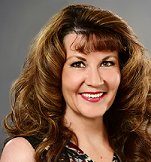 Active in the business and local community, Lanetta is currently on the Board of the Rotary Club of Las Vegas-Central, serving as Vice President and Membership Chair and is the President-Elect for 2019-2021. She is also a mentor to the Clark County Business Opportunity Program (SBOP). Previously, Lanetta served as a member of Civitan; served as a chapter committee chair for NAWBO, National Association of Women Business Owners and participated as a panelist at the 2016 Quality Job Growth and Business Financing Initiatives in the Greater Las Vegas Area Roundtable facilitated by the Federal Home Loan Bank of San Francisco and the Aspen Institute. Lanetta loves dogs, swing dance, entertaining, and her family and friends. Her passion is to help people protect their loved ones and property through trust education and support; help businesses implement effective systems; and facilitate connections for her clients to the resources they need to sustain and grow their businesses. CEO | Consultant, Coach & Facilitator | Integrity Partners , Inc.
Sharon Spann is Owner and Chief Executive Officer of Integrity Partners, Inc. Responsible for the company’s management consulting division, her areas of expertise can be summed up as "small business success strategies and small business owner sanity savers". Her focus areas are strategic planning and execution; best practices identification and implementation; and personal strengths discovery and development via one-to-one consulting and group coaching. She also facilitates Mastermind Groups and Masterclasses for strong start up, maintaining momentum, and accelerating growth. A certified Master Practitioner in Neuro-linguistic Programming, Sharon also has a Master's Degree in Accounting. Her work experience includes strategic planning, team management and development, forensic accounting, corporate training, and process improvement. ​Sharon's passion is people. She is currently a College of Southern Nevada student mentor; a mentor to the Clark County Small Business Opportunity Program (SBOP) and is on the Board of Directors of the Rotary Club of Las Vegas-Central. Previously she served as a volunteer/tutor at a girls' group home. In her spare time, Sharon enjoys spending time with her family and friends, movies with her husband, books, bookstores, more books, and sharing knowledge.